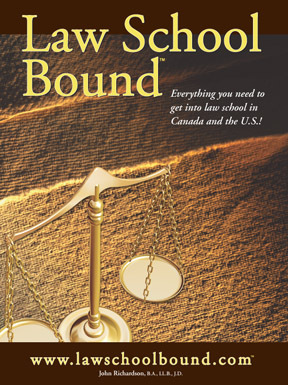 Law School Bound by John Richardson, is the most comprehensive manual available for Canadian Pre-Law students. The retail price is $49.95. It will be available at the greatly discounted price of $20 at Pre-Law Forum.